Two Olympic rivals married this weekend, and athletes are delighted about the pairing. Meghan Duggan, the captain of the U.S. women’s hockey team, and her Canadian counterpart Gillian Apps set aside the competition this weekend in favor of marriage. The couple wed close to the Canadian border at a venue known as the William Allen Farm in Pownal, Maine. “The most incredible day of my entire life,” Duggan expressed on Instagram Tuesday, September 25, alongside a smiling snapshot from her first dance with Apps. Apps, the former captain of the Canadian team, also posted a few photos from the scenic New England ceremony, which also included several of their teammates. “Nothing but smiles after this amazing weekend,” the athlete expressed. Both Duggan and Apps opted for strapless white lace gowns on their wedding day. Other Olympians to support the couple on their wedding day included bridesmaids Kacey Bellamy, Erika Lawler and Brianna Decker. The two famously faced off in two separate Winter Olympics including Sochi, Russia and Vancouver in 2010. 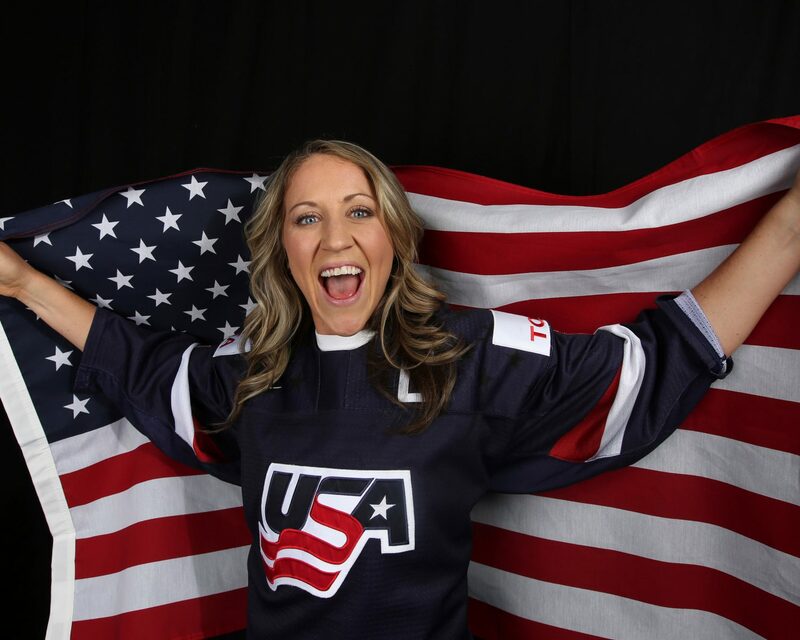 Duggan, meanwhile, famously helmed Team USA to its first victory in 20 years over Canada in women’s ice hockey at the 2018 Winter Olympics in South Korea. Be the first to comment on "Olympic Ice Hockey Rivals Meghan Duggan and Gillian Apps Marry in Maine Wedding"